Did we really live like this? This is a gentle and somewhat dreamlike series of episodes in the life of a squat, three previously published books now gathered into an almost 500 page omnibus. 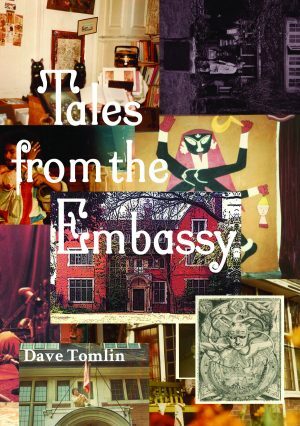 Dave Tomlin (Third Ear Band member and regular contributor to international times) and friends were fortunate enough to squat a large, furnished embassy building in London and live there for 15 years. They also held artistic events such as concerts and readings, and gave refuge to others, known and unknown, who needed rooms for the night. The public events led to the creation of the fictional Guild in the book title, with a plaque made for the house and portraits of adopted past Guild Presidents found in secondhand shops. For some reason Tomlin uses pseudonyms throughout, although there is a key to these at the end of the book, thus making it slightly irrelevant as a device for anonymity. There are also some typos such as you’re for your, and single quote marks within other single quote marks, instead of doubles. The episodes are each a few pages long, and often jump back in time to introduce characters and how the author got to know them, report conversations, issue judgements and opinions; many play for laughs or offer gentle epiphanies of sunshine, artistic, political or communal success. Did we live like this? No, we didn’t. 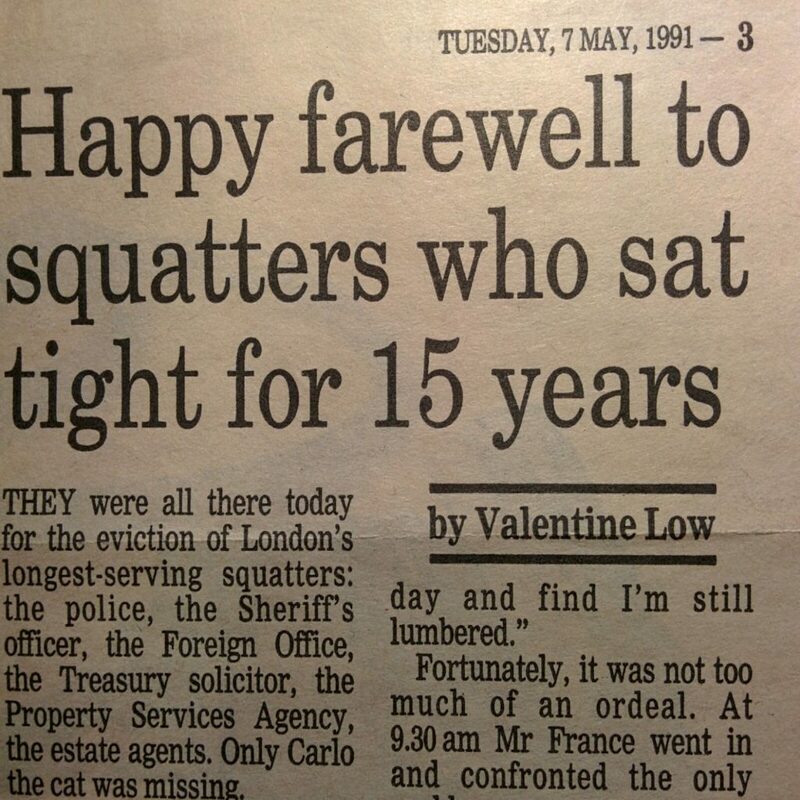 Squatting was usually far harder work than this book suggests. Tomlin and friends seem to have kept a tight ship at their squat, preferring to use the room above the garage and garden offices for visitors they were unsure about, and sometimes either turning people away or psyching out and intimidating residents who they decided needed to leave. Apart from these undercurrents, and some heated debates (politics, the counterculture, drugs, music, society, sticking it to the man, etc), the Embassy depicted here is more country house than city squat. This is no front-line living on the edge, this is bohemia, a world of weaving and sewing and screenprinting, piano and classical music, wallhangings and afternoon tea. For most of the book even visiting policeman and officials can be charmed and shown round, offered cups of tea; and concerts are more soiree than alternative gig, with chairs arranged round a low makeshift stage and refreshments served in the interval. This isn’t the Seventies I knew at all. This is a kind of quietly remembered alternative universe, that reality doesn’t much intrude in until late in the book when the squatters fight against eviction but lose. Even then, there is no anger, however, they simply make a last pot of coffee and slip away, rather like the past always does. If you want a glimpse into one version of alternative London in the 1970s and 80s, here it is. It is a strange, perhaps overlong, scrapbook of images, stories and reminiscences, but it is amusing and enchanting in equal measures; a kind of Thousand and One Nights for the counterculture. This entry was posted on 16 August, 2017 in homepage and tagged dave tomlin, Rupert Loydell, Tales From The Embassy. Bookmark the permalink.